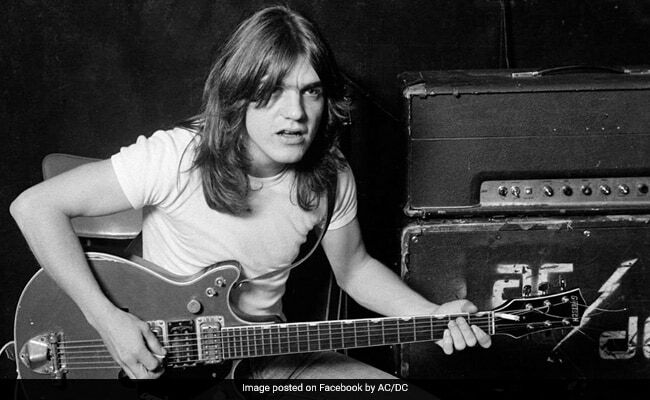 Malcolm Young wrote riffs to many of AC/DC's best hits, including Back In Black. Paris: AC/DC guitarist Malcolm Young has died aged 64, the band announced Saturday. Young founded the Australian rock group with his brother Angus, who said he will leave "an enormous legacy". "Today it is with deep heartfelt sadness that AC/DC has to announce the passing of Malcolm Young," a statement on the band's website said. "With enormous dedication and commitment he was the driving force behind the band. Best known for their hit song Highway to Hell, AC/DC formed in 1973 and went on to produce 17 studio albums, selling more than 200 million records. Malcolm had been suffering from dementia for the last three years, and was replaced in the band by his nephew Stevie Young. His brother Angus paid tribute, saying: "As his brother it is hard to express in words what he has meant to me during my life, the bond we had was unique and very special. "He leaves behind an enormous legacy that will live on forever. Malcolm, job well done"
Elder brother George, who the band described as a mentor, died earlier this year. The three brothers were born in Scotland. They emigrated to Australia as children with their family, although their eldest brother remained in the UK.